For many musicologists, Benjamin Britten is given the same genius tag as John Dowland, Henry Purcell and Edward Elgar - but to others, his music is seen as lacking in memorable melodies and quite dour. 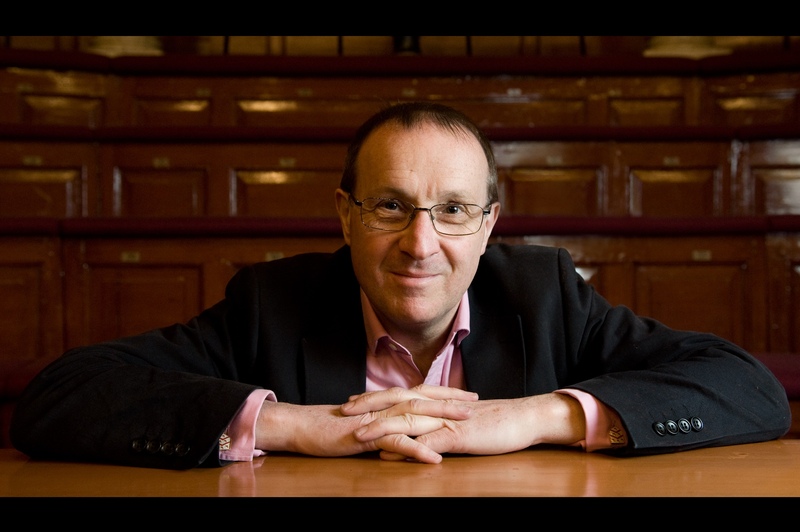 But Nicholas Cleobury, in his wonderful talk on May 3rd, made a convincing case that Britten was, indeed, a towering musical force who had put 20th Century English music on the world map. This year is the centenary of Britten's birth and there is a global celebration of his work, with Nicholas - one of the country's most respected conductors - the artistic director of Britten in Oxford, a year-long festival of concerts and lectures. Nicholas's talk began with an interlude from Britten's opera, Peter Grimes, which captured the movement and melancholy of the sea - a theme which featured in much of his work, having been born in Lowestoft (the son of a dentist) and spending countless hours exploring the Suffolk coast. In fact, it was after first hearing Frank Bridge's piece, The Sea, in 1927 that Britten later said he was "knocked him sideways". He would go on to study composition with Bridge. Nicholas pointed out that, even as young boy, Britten composed over 800 works and he would go on to write in many genres, including operas, choral music, film scores and pieces like The Young Person's Guide to the Orchestra, highlighting a diversity which led to him being labelled the "People's Composer". 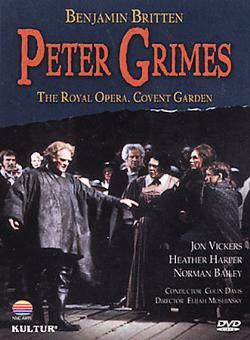 International success, Nicholas told us, came with the premiere of Peter Grimes in 1945 and - over the next nine years - he would write six more operas, which cemented his position in 20th Century music. He also wrote orchestral and chamber works, as well as music for children and amateur performers, and also solo vocal - much of written for his life-partner, the tenor, Peter Pears. Nicholas suggested that Pears possessed supreme vocal gifts and, in some cases, he alone was capable of singing the pieces Britten had written - creating a unique vocal texture. Whilst some Oxford music professors have claimed Britten is overrated, Nicholas is adamant he was a genius and that his ability to write music for words is without parallel. This was evident even in apparently simple pieces, like the music to accompany W.H. Auden's poem, Night Mail, when they were both working for the GPO Film Unit. Indeed, he had travelled to New York with Auden and immersed himself in the gay bohemian life there. But it wasn't to his taste and he soon returned to England - living quite an ambivalent existence in a country where homosexual activity wasn't legalised until 1967. Despite seeing Britten as a majestic figure, Nicholas recognised that he was a complex man, who could be waspish and "drop" people for no apparent reason. From a very young age, he despised cruelty to both humans and animals - and his plea to be a conscientious objector during World War II (which succeeded) was based on his refusal to countenance killing. But his devotion to Pears never wavered and he always placed him on a pedestal as the overriding inspiration for his work. This was confirmed in two letters, read by Nicholas, which the men sent to one another when Pears was performing in Britten's opera, Death in Venice in New York - both full of a deep mutual affection. Britten and Pears developed the festival in Aldeburgh, in Suffolk, where they lived, and it later moved to nearby converted Victorian buildings at Snape - now considered one of the finest concert halls in the country. Marlene Fisher's back-drop at the talk featured Maggi Hambling's pair of interlocking metal scallop shells, four metres high, sitting on the beach between Aldeburgh and Thorpeness - raised as a tribute to Britten. The corrugated steel is pierced with the words "I hear those voices that will not be drowned" - taken from Britten's opera, Peter Grimes. I thought that maybe the music of Benjamin Britten wasn't one for me - but Nicholas's talk proved a revelation and I shall now return to the music with new ears. 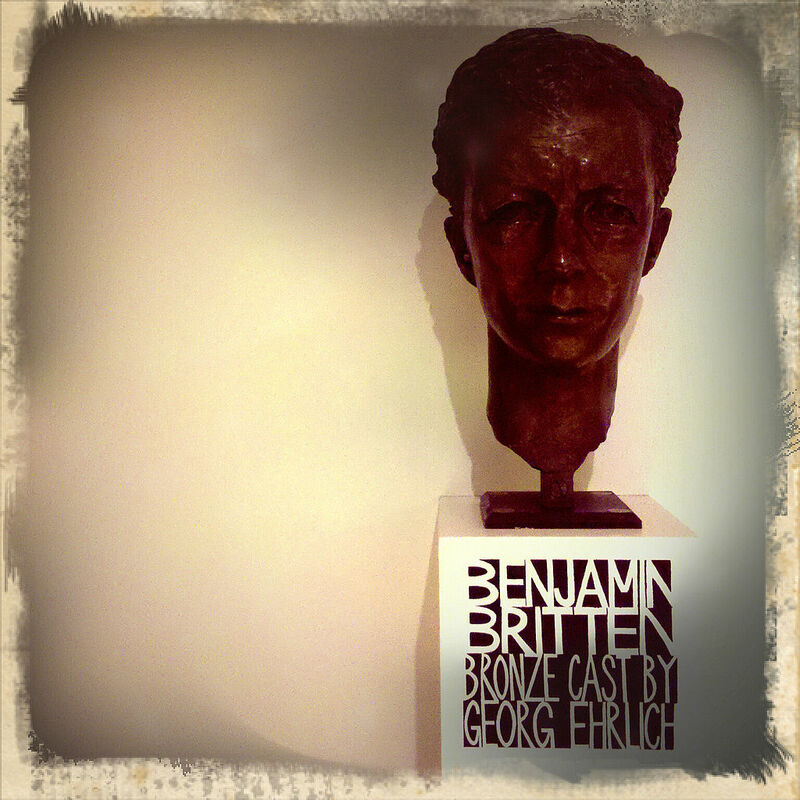 As well as highlighting his musical achievements, Nicholas detailed the key places and people in Britten's life, which proved such an important catalyst. A wonderful, illuminating talk, delivered with supreme skill - Tony Clouston, Stratford-upon-Avon.